Looking for more Earth Day deals!? 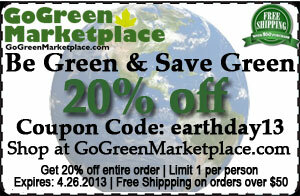 Check out Gogreenmarketplace.com, where you can get 20% off your entire purchase through April 26, 2013 with the promo code earthday2013. 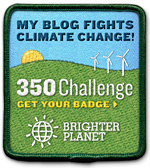 Also, don't forget to visit my post about Green Deals! Enjoy and Happy Earth Day!